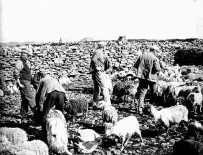 North Ronaldsay, the most northerly of the Orkney Islands, has a cultural richness and social significance which far outweighs the physical presence of this small island. It sits on a busy sea lane where the North Sea meets the Atlantic Ocean and where ancient history rubs shoulders with modernity. It is an island of contrasts: The calm of life’s pace set against the intensity of nature’s demands; the silence of this low lying island making way for the sounds of nature while, all around the ocean waits with patient power to unleash its roaring energy. 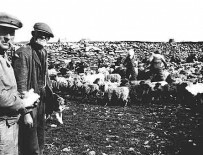 North Ronaldsay was a human settlement as long ago as the Stone Age and the archaeological evidence which permeates the very bedrock of the island shows that from those early beginnings, through the Bronze Age, the Iron Age and through all the succeeding routes to the present day, the island has provided a platform for human progress. 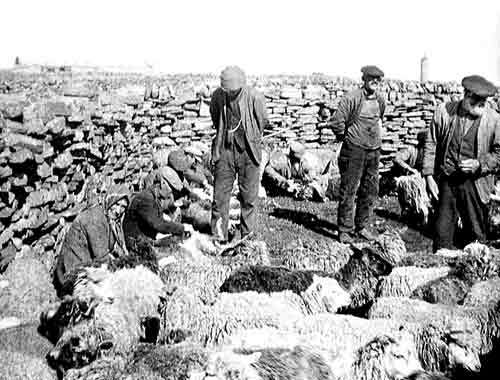 The link between laird and sheep has also been maintained by the role of the North Ronaldsay Sheep Court, a body established to regulate sheep numbers and oversee the management of the island flock. 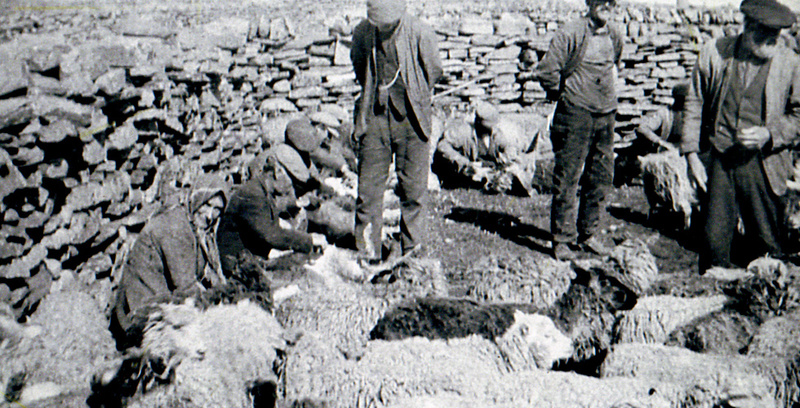 The Sheep Court has been headed by successive Lairds and though it has no legal powers it once firmly controlled the island’s native sheep business. A best estimate of the island sheep population in 2014 was 2,300 and this reflected a stable trend in the island flock size over more than 200 years. For example, in 1790 the figure was 1,900; in 1883 it was 2,000 and in 1902 there were 2,302. However, in the same period, human numbers on the island were far from stable. 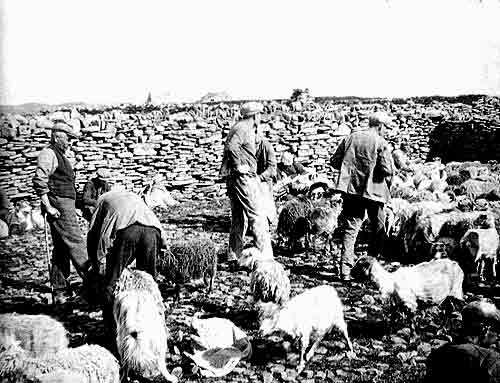 With a population of some 384 in 1787, rising to over 500 by 1831, the island then had sufficient labour to contemplate the building of the Sheep Dyke, largely in response to the policy of ‘land squaring’. This coincided with a decline in the kelp market. 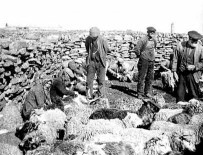 These farming reforms brought the prospect of greater profit than could be made from the native sheep and with the foreshore no longer given over to kelp gathering and burning, the prospect of consigning the sheep to that area was well supported. “…Would such an emergency for the islanders make headlines for the National Press and, perhaps, produce assistance from outside? Forty years on the human population has halved and the worst storms in living memory have hit the island. Peter Tulloch’s question has yet to be answered. The people pictured on this page showed great resilience and courage in facing the challenges of their day. Their legacy is all around. 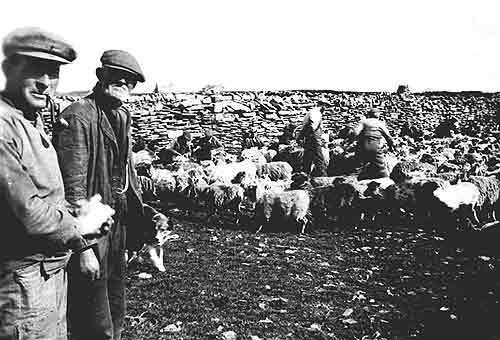 The modern world owes it to this special place to enable the next generations to build with similar vision; to ensure that these echoes from the past are heard, respected and built into the island’s future, otherwise the sheep will be lost and, with them, an irreplaceable way of life.